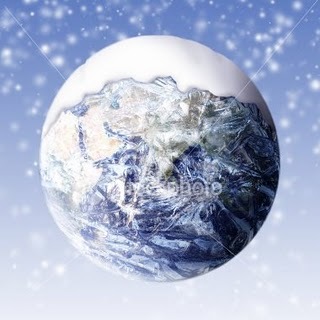 Home » Climate change » Are we heading toward global cooling ? Are we heading toward global cooling ? With the wave of cold weather in the Northern Hemisphere (America, Europe, Asia) of the previous weeks, some skeptical people believe Earth is heading toward a global cooling or more simply that there is no global warming. Don’t rejoice to fast. As I noted previously weather forecasts and climate are totally different. See why here. There is indeed a warming trend as the last decade was the warmest ever recorded. Even if climate was due to get colder or remained stable we would still need to start becoming energy efficient and using more sustainable solutions. Hydrocarbons also pollute our soil, our air and our water. This has to stop. Peak oil and coal make this even more urgent. Anthony Watts runs a Web site that has become perhaps the most popular portal for climate news and opinion of interest to people aiming to rebut warnings that humans are poised to disrupt climate. James E. Hansen of NASA has long been the most prominent scientist advocating sharp and prompt cuts in emissions of greenhouse gases to avoid a climatic calamity. In the last few days, a notable conjunction occurred when these two men essentially agreed on something: that the planet — despite a lot of very cold patches — is unusually warm.